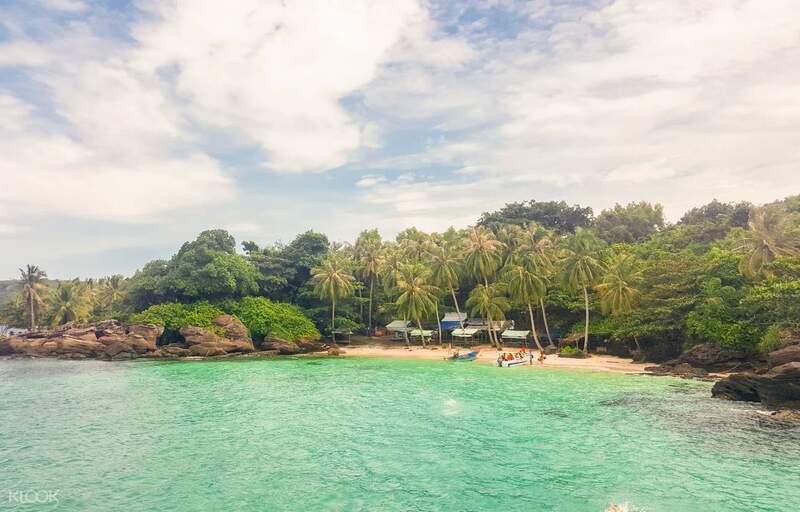 Discover Fingernail Island, Dam Ngang Island, May Rut Island, and Pineapple Island in an exotic day tour! 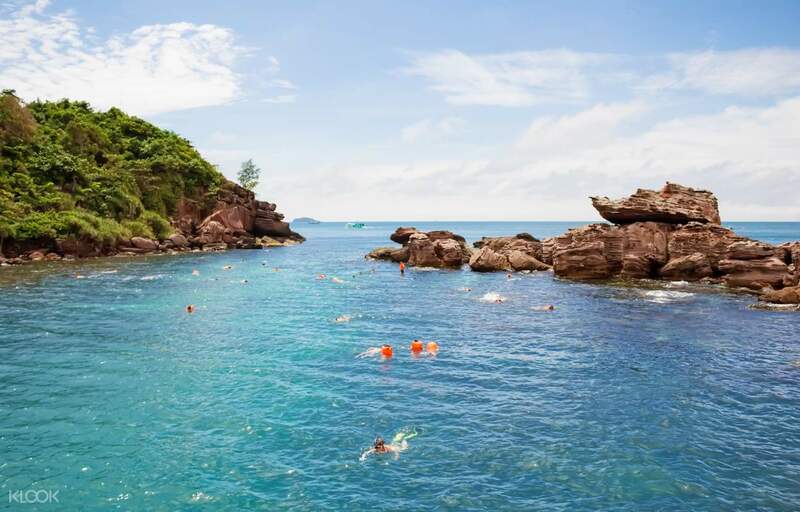 Explore the stunning islands of Phu Quoc in style as you ride the waves on a speedboat! A memorable and fun one day trip. They will send a driver to pick u up from your hotel and send you back. It’s fun to get to meet other people from around the world. The waters are crystal clear and the food are nice too. Not to forget the tour guide is very friendly guy and he can speak fluent English. This is very recommended for those who likes snorkelling and who wants to experience fishing. 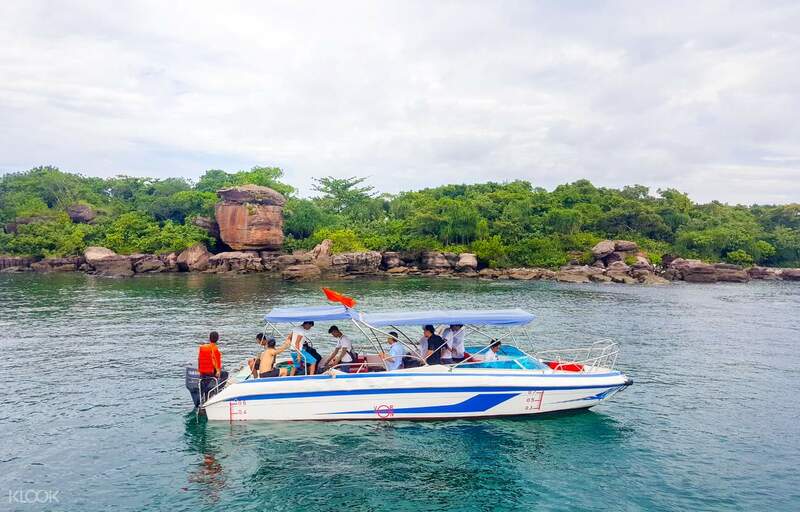 Take a thrilling tour by speedboat around Phu Quoc’s finest island destinations! Begin your adventure with an optional hotel pick up or head straight at the meet up location. Arrive at An Thoi Harbor and speed along crystalline waters as you journey to the first stop of the day—Pineapple Island. Test out your fishing skills and try to catch a snapper, a kingfish, even a large cobia! Travel next to Fingernail Island and bask in the exotic ambiance of a tropical paradise where you can enjoy sunbathing and swimming in warm, clear waters. Continue your dip in the ocean with an exciting snorkeling adventure on Dam Ngang Island! 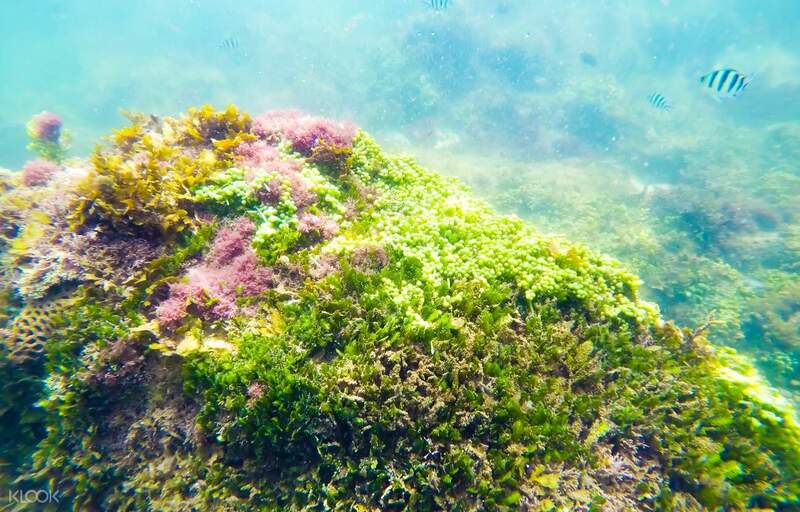 Discover new depths underwater where marine life thrives in vibrant colors. Dock next on May Rut Island and grab a delicious Thai lunch comprised of steamed shrimps, sautéed sweet and sour squid, fresh fruits, and more! Make the most out of your free time and explore the privately-owned island famous for its genuine Vietnamese island life experience. By 5:00pm, the tour ends with a ride back to the harbor followed by your safe return at the hotel or meet up location. 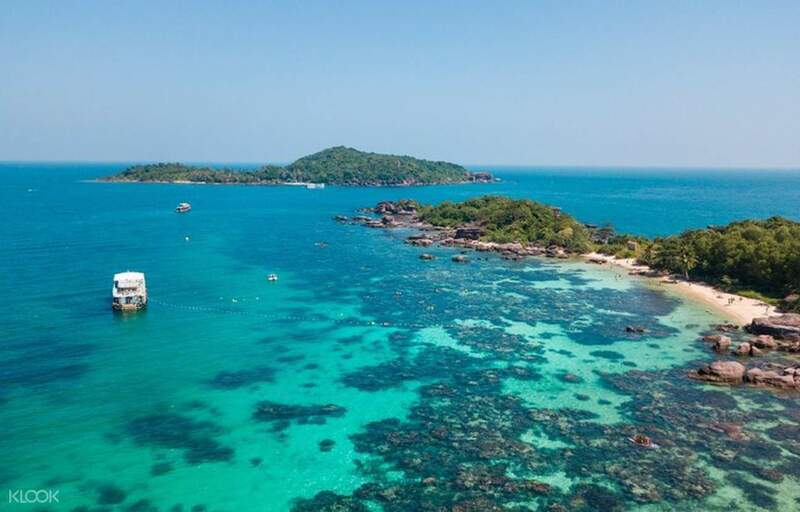 The most exciting way to start your island hopping activities is by riding a speedboat along the Phu Quoc sea! A memorable and fun one day trip. They will send a driver to pick u up from your hotel and send you back. It’s fun to get to meet other people from around the world. The waters are crystal clear and the food are nice too. Not to forget the tour guide is very friendly guy and he can speak fluent English. This is very recommended for those who likes snorkelling and who wants to experience fishing. A memorable and fun one day trip. They will send a driver to pick u up from your hotel and send you back. It’s fun to get to meet other people from around the world. The waters are crystal clear and the food are nice too. Not to forget the tour guide is very friendly guy and he can speak fluent English. This is very recommended for those who likes snorkelling and who wants to experience fishing. Compact schedule but variety activity. Good to enjoy the 1 day with snorkel and fishing. Guide speak English well too. You can meet people from many countries. There were 8 people in group I joined. I did snorkel 3 times and fish 1 time. Compact schedule but variety activity. Good to enjoy the 1 day with snorkel and fishing. Guide speak English well too. You can meet people from many countries. There were 8 people in group I joined. I did snorkel 3 times and fish 1 time. Trip was nice n tour guide Tommy is a nice person. We were enjoy so much. The duration also just right around 3pm the tour end n transfer back to hotel. Trip was nice n tour guide Tommy is a nice person. We were enjoy so much. The duration also just right around 3pm the tour end n transfer back to hotel. nice trip, today only have 8 people in this small group, very comfortable. nice trip, today only have 8 people in this small group, very comfortable. Very nice. Only 8 people in our tour. The tour guide. Mr. Phong takes care of us well. Very nice. Only 8 people in our tour. The tour guide. Mr. Phong takes care of us well. Tour is well arranged. Is run by John Tours, which is a reputable tour agent in Phu Quoc. Tour is well arranged. Is run by John Tours, which is a reputable tour agent in Phu Quoc.